German broadcaster Deutsche Welle was filming earlier this month a segment in Trafalgar Square for its series Focus on Europe - Spotlight on People. No other European country keeps as close a watch on its citizens as the UK. 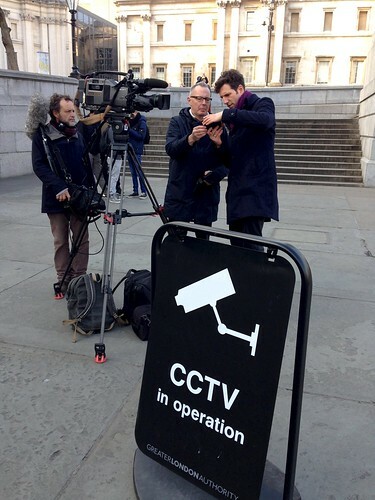 For years, the government has been broadening its powers of surveillance in the name of security. In other nations, its laws would long since have been considered breaches of privacy. Now opposition has also been growing in Britain. I was interviewed for it and briefly appear 3’10" in the short programme.